I simply don’t need another bottle of facial mist. I’m terribly addicted to them. Spritz here, mist there. I remind myself of Peter O’Toole as Zaltar in Supergirl, “Spritz?” You either totally remember these geeky things or you don’t, it’s a gift. But I do have an excuse this time. Just look at the Tony Moly Pocket Bunny Moist Mist and tell me how you could resist? This tiny bundle of joy is shaped like a little bunny…I’ve always loved My Melody and this reminds me of her for some reason. The tiny pink bottle sports a little bunny wabbit topper. But actually, believe it or not, it does house a rather fine facial mist as well. The moist mist was created for dry skin (this comes in two variations one of which is for oliy skin) and contains a mist infused with watermelon, apples, cherries, and other fruits. The mist doesn’t have a fruity scent but more of a fresh one. It’s thicker than water and feels like a thin lotion or essence. It does indeed give skin a moisturizing, hydrated finish. You can use as a quickie way to rehydrate your face, set your makeup, prep for moisturizer, or just as a lightweight moisturizer. Cute packaging aside, the actual mist is very good. But let’s be honest, it’s the packaging that we really want. The best part about it? Although small (1 oz) you can refill it with your favorite mist of choice since the spritzer unscrews easily! I got mine as a gift from a friend who lives in Korea but I’m seeing them all over E-bay for $12-$13. I promptly asked her to get me a few more because dude, seriously these will make unique stocking stuffers. 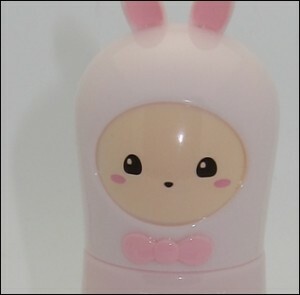 Tony Moly Pocket Bunny Mist So Damn Cute I Want to Eat It Up! Oh my Lord, I know exactly what you mean. I must’ve watched that movie 200 times as a kid. LOL jack I heart you so hard right now! Bunny! I want cute face stuff! This.is.awesome! I had to hop onto ebay after you first posted about this. Although my skin is now normal rather than dry combination (woop woop!) I think I’ll have to pick so up because its so darn cute! yay julia ;-D lmk how you like! sooo cute!i wanna have one..is tony moly doesn’t have an outlet in US yet? Tony Moly’s packaging just kills me with the cuteness! When I walk by one of their stores, I always need stop to look around. 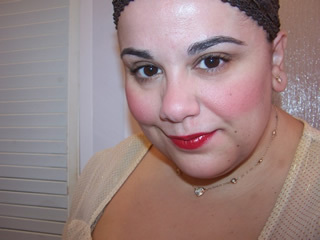 But I can’t use their products–so far three products made me break out! =( They make such nice gifts though. aw shucks that stinks anthea 🙁 but hey betcha got a load of other great brands to go for ;-D! It’s freakin adorable, a rabbit (which I LOVE and collect), and it comes with a version for oily skin? Today the heavens have shined down on me! Omg. I want it!! Do you know of any other places or sites that may sell it besides ebay??? thanks! I saw it on Amazon.com also! amazon isn’t always a safe one to buy asian beauty imho though! thanks mtx I didn’t even see sasa selling ’em ;-D <3 SASA great place to shop! hi.. i am a fan of tony moly and i recently got the pocket bunny SLEEK mist – that is for oily skin.. can i use it even if im wearing my make up? im afraid it will ruin it..
Hurray! Mine came in the mail today! I’m in love, Muse, and it’s all your fault! I have some Holika Holika goodies coming too! Do you know how much your friend payed for it in Korea? I’m tempted to buy online but I do have friends in Korea. I don’t want to bother them with it unless it’s a big difference though. Now that Tony Moly is sold at sephora, it’s $15 there!